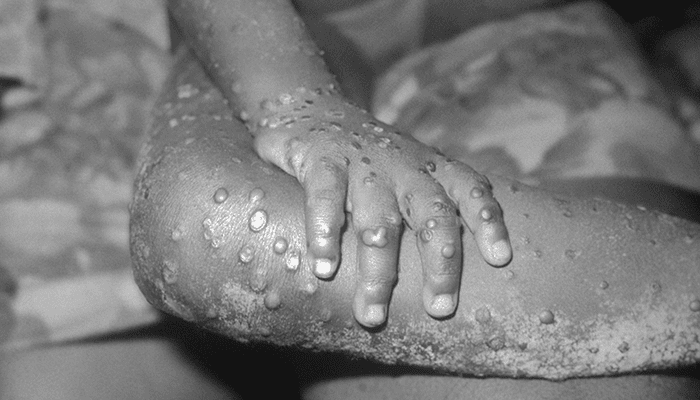 Scientists performed genetic sequencing of patient samples from the monkeypox virus (MXPV) outbreak in Nigeria, revealing that the outbreak likely originated from a source within the country. “Based on our findings, it appears that the index case of the current outbreak in Nigeria was not imported, but probably originated from a spillover event or events involving reservoir hosts,” said Gustavo Palacios, Ph.D., who heads the Center for Genome Sciences at the U.S. Army Medical Research Institute of Infectious Diseases (USAMRIID). USAMRIID and a multinational team of collaborators recently published their analysis in the journal The Lancet Infectious Diseases. According to the World Health Organization, 172 suspected and 61 confirmed MPXV cases, including one death, were reported in different parts of Nigeria between Sept. 4 and Dec. 9, 2017. Prior to this outbreak, only ten such cases had been reported in the region between 1971 and 1978. Due to this lapse and the recent cases in the Congo Basin, the origin of the latest Nigerian outbreak needed to be identified, as did whether the outbreak was a result of a local zoonotic spillover event or importation from another endemic country. The research effort was supported by the Institut Pasteur in Dakar (IPD) in Senegal and the U.S. Defense Threat Reduction Agency (DTRA). Sequencing equipment was provided to IPD, where the sequencing was conducted, by the Targeted Acquisition of Reference Materials Augmenting Capabilities (TARMAC) initiative and the Defense Biological Product Assurance Office (DBPAO) through a task order award to the National Strategic Research Institute. Outbreak control teams were composed of staff from the Bayelsa State Ministry of Health, Niger Delta University Teaching Hospital, Nigeria Field Epidemiology and Laboratory Training Program, and the Nigeria Centre for Disease Control. According to Bruce Goodwin, director of the DBPAO, the sequencing capability established at IPD under the TARMAC initiative allowed for a significantly improved response time–less than two months from sample receipt to results that could be used by public health professionals working to control the outbreak. This effort demonstrates the importance of in-country sequencing capacity coupled with the appropriate protocols and support to produce actionable data. Source: USAMRIID. Edited for context and format by Global Biodefense.